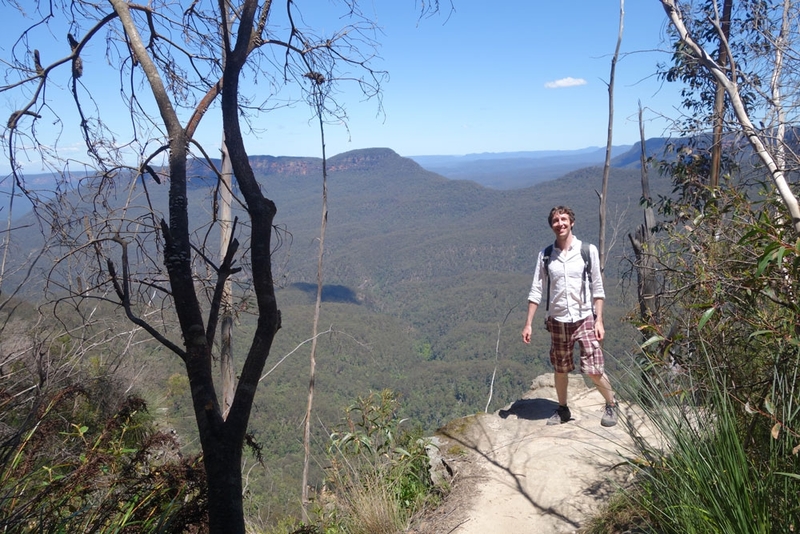 After a bit of chaos the proceeding night we didn't have as much time to see the Blue Mountains before we had to make our way north - this was the walk we picked to give us a quick preview of the region. 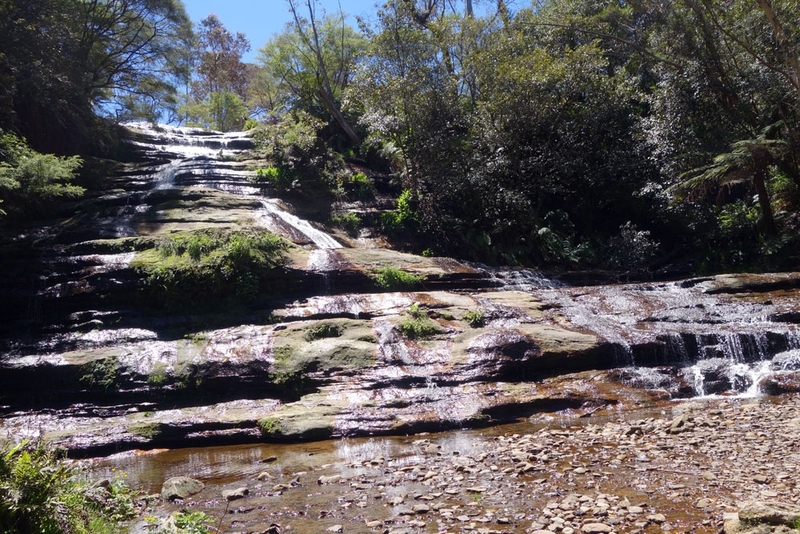 We only had a couple of hours in the Blue Mountains after our first night camping debacle and then needing to start our drive north in the afternoon so we looked around to find a good, short walk which would give us a reasonable sample of the region. The walk that we finally settled on was between Katoomba falls and Echo Point and it offered some great valley views as well as seeing the infamous 'Three Sisters'. 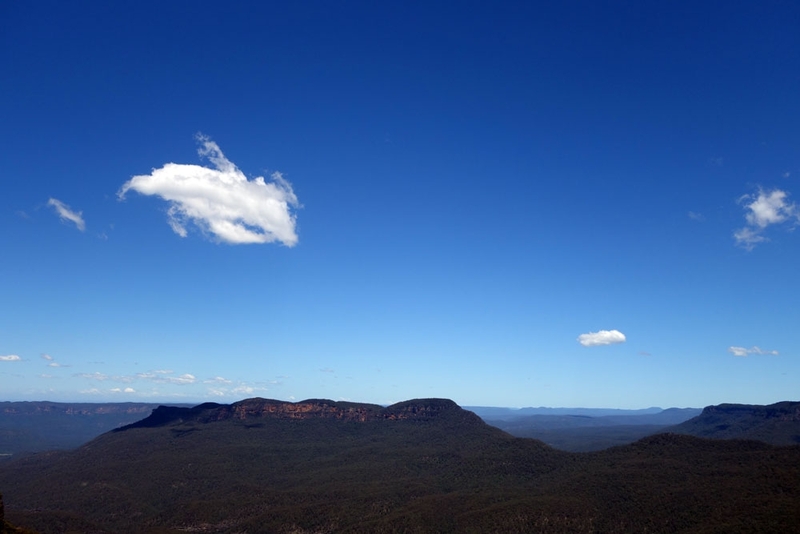 We were going to start the walk at Echo Point but when we pulled up at the area we found out that parking was absolutely extortionate there (and it's heaving with tourists)! After a quick google we discovered that the other end of the walk had free parking and so we most definitely moved and started the walk at the Katoomba Falls kiosk instead. It takes about 1.5 to 2 hours to complete and the walk follows a proper, formed path around a cliff top. 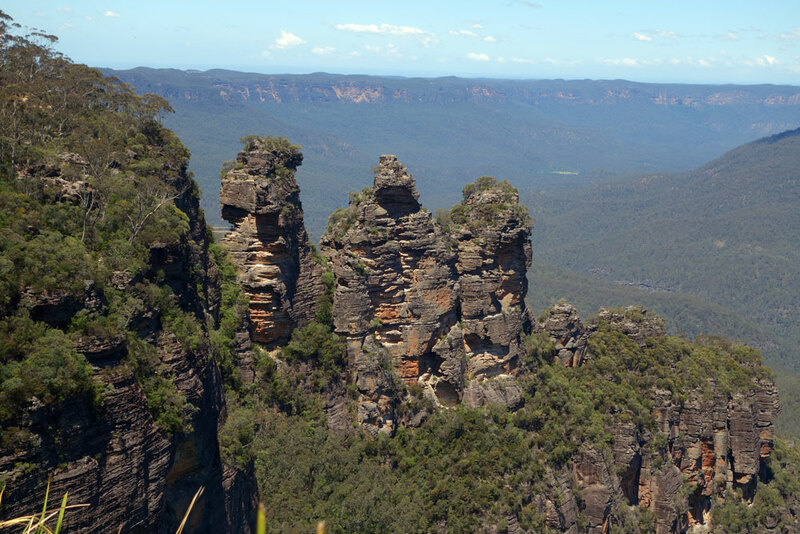 There are some waterfalls to see en route but the main attraction is the views across the valley and then catching a glimpse of the 'Three Sisters' as you approach Echo Point. Echo Point which marks the end of the walk is pretty sudden and very touristy - a paved area overlooking the three sisters and crowded with the standard tour bus crowd . 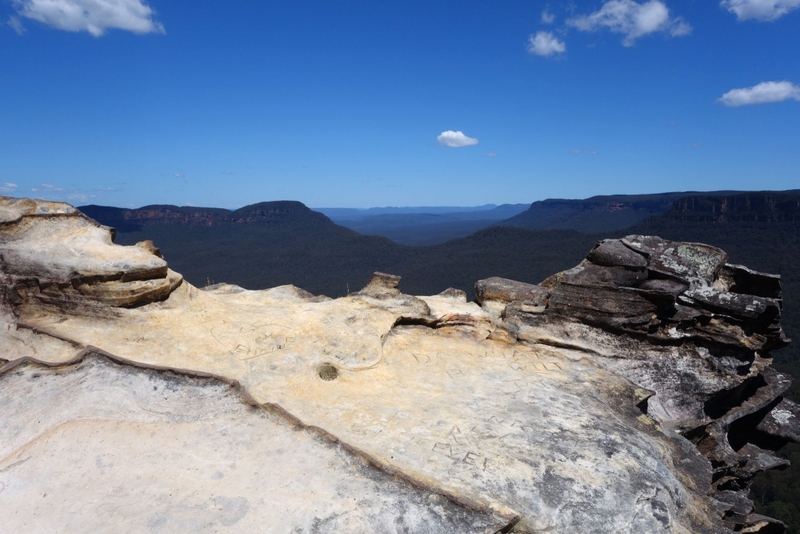 Once you have finished soaking up the view the last step is back to the Katoomba Falls Kiosk. You can either backtrack your route - which is the longer, prettier option - or you can take the roads back which get you back quicker but without the view.